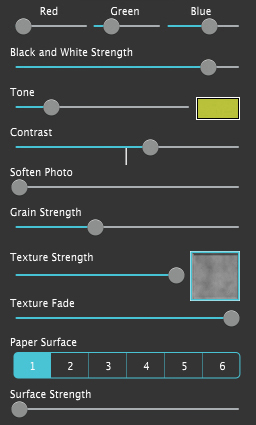 Tone - Create a mood or add depth using the tone slider. 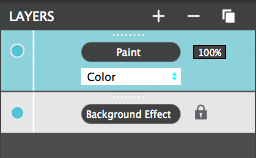 Select a color then move slider right to tone the image. Contrast - Move the slider right to increase highlights in the image and darken shadows. Soften Photo - Move slider right to soften the image for a dreamy look. 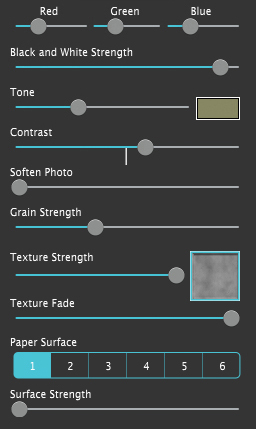 Grain Strength - Move slider right to add interest to the image by adding a darkroom-style grain. Texture Fade - Blend the texture in a vignette fashion around your photo. Moving the slider right decreases the vignette amount to allow more of the photo to be seen. Image Age - With this slider you can change the aging effect on your photo. Moving the slider right will add more color tone to your photo. Use the color box to choose a color. Fade Out - Fade Out blends the texture in a vignette fashion around your photo. Moving the slider right decreases the vignette amount to allow more of the photo to be seen. 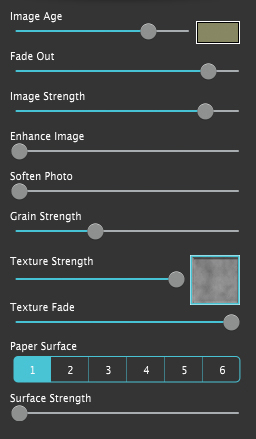 Image Strength - The Image Strength allows you to choose how much of your photo will be seen through your vintage texture. Fade photo by moving the slider left. Enhance Image - Enhances the light and dark areas of your image making them stand out more. Soften Photo - Move slider right for a dreamy look. Grain Strength - Add interest to the image by adding a darkroom-style grain. Move slider right to increase grain opacity. 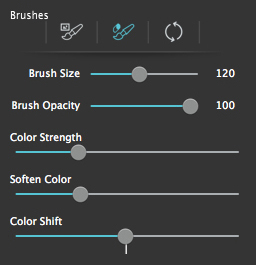 Brush Size - Increase the size of the brush strokes (You can also press [ and ] on your keyboard) . Brush Opacity - Adjust the strength of the brush strokes. - Reset the color palette. 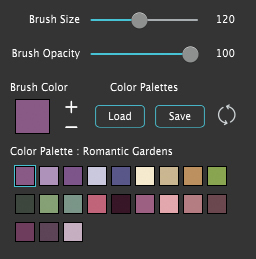 This removes the palette to allow for a new one to be created. Brush Opacity - Adjust the strength of the eraser.